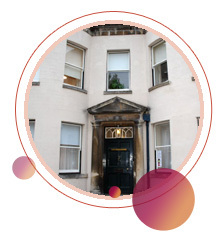 The Patford House Partnership was established in 2012 merging Patford House in Calne with Sutton Benger Surgery. We pride ourselves on high quality, personalised health care and we offer a range of services to all of our patients. If you’re new to the area, have a look at our opening times, download a registration form and come and see us. This is an important message for our patients. Due to circumstances beyond our control, our planned early shut down has now been rescheduled to, Tuesday 9th April at 4.00 pm. NHS 111 will be able to assist with urgent care needs but we kindly request that routine enquiries are dealt with from 8.30 on Wednesday 10th April. You can view or download our surgery brochure here. We are proud to announce that Patford has been awarded the Platinum Carer's Award from Wiltshire Carers. Please let us know or contact Carers Wiltshire for information on support. Carers - have you had your flu jab yet? Please contact reception for an appointment.